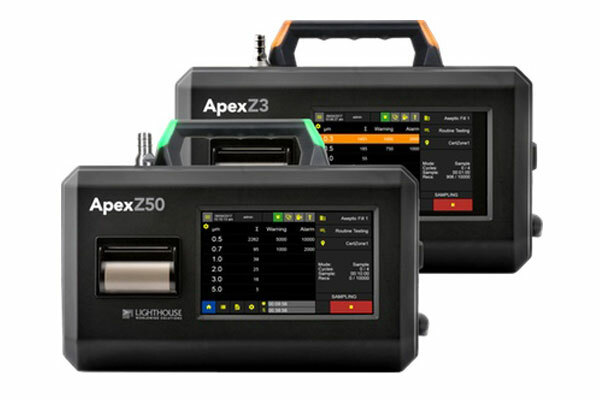 Since their recent release, the Lighthouse APEX Z series of advanced portable particle counters have won awards around the world and become a BIG hit with particle counter users here and globally. With more latest generation features then we have ever seen in a portable particle counter, being whisper quiet, extremely light, portable and taking up only a small footprint, they have become the BEST selling and most asked about portable particle counter we have sold. And, if you are a particle counter user, then you can still take advantage of the very popular and still currently FREE trial offer available through LAF Technologies. Technology has advanced, times are changing. If you are still using older style particle counters with 4 to 5 year life expectancy laser diodes, many still not fully ISO21501 compliant, then call us today on 1300 306 002.